When the Torah academies of Babylon opened in the third century, the lighting practice spread to the Diaspora; however, until the last century, Hanukkah remained a secondary festival in much of the world. Then Zionism appeared as a major force. While the notion of the miracle of oil had come into disfavor with the rationalism of the Enlightenment, the Maccabees became models of the heroic Jew willing and able to fight for his rights. The initial miracle, of the few against the many, the weak against the strong, gave the Zionists and early Jewish settlers in Palestine hope. Throughout the Holocaust, the Jews — saving bits of butter to fuel small flames held in hollowed potatoes –continued to thank God for the miracle of Hanukkah, believing, as had the Jews under Rome, that another miracle was possible. Even if individuals died, they believed the Jewish people, as always, would survive. In 1948, the chances of the new Israelis were likened to those of the Maccabees at the beginning of their struggle. Today, the Jewish state observes Hanukkah as a national patriotic holiday. The term Maccabee has come to mean physical prowess and serves as the name of several sports endeavors, including Israel’s olympics (Maccabiah). Hanukkah also enjoyed a resurgence in America, although this is due mainly to its close proximity to Christmas rather than to appreciation of Hanukkah’s significance. 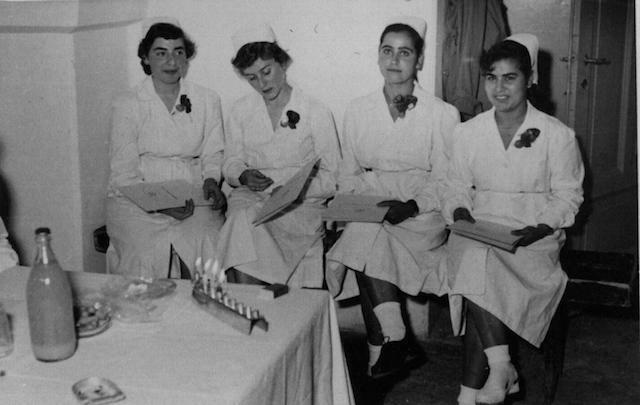 In a spirit of fairness, public schools often added Hanukkah to their holiday season celebrations, and that reminded families to light Hanukkah menorahs at home. Popular with assimilated Jews as well as the observant, for many it has come to be seen as “a Jewish Christmas.” Consequently, although celebrated out of proportion to its place on the Jewish calendar (especially when compared to the overshadowed biblically ordained holidays Shavuot and Sukkot), it is too often diminished by the very culture-borrowing the holiday’s founders fought. Before the influence of commercialized Christmas made it a widespread custom, particularly in America, to give gifts during Hanukkah, sometimes on all eight nights, children received Hanukkah gelt (“money” in Yiddish). Possibly in commemoration of the coins minted by the first Hasmonean ruler, the practice grew out the custom of providing gifts to support poor yeshivah [seminary] students and teachers, an appropriate response to the Hellenists’ attempt to obliterate Judaism by destroying Jewish texts and outlawing Jewish learning. It became common to give money to the children who in 17th-century Poland distributed money to teachers. Often it was a way of rewarding them for past studies and encouraging them to learn more. Today, some grandparents still give money, but more often only symbolic packets of foil-covered chocolate coins are handed out while presents of all sorts are more common. To keep gift-giving within reason, some families exchange gifts only on one night, limit the number of major gifts, or designate different nights for different givers: one for parents to children, one for grandparents to children, one for children to parents, one for siblings to each other, and so on. Often it was a way of rewarding them for past studies and encouraging them to learn more. Excerpted from Celebrate! The Complete Jewish Holiday Handbook. Reprinted with permission of the publisher. Copyright 1994 by Jason Aronson Inc.
What happens in synagogue and beyond. How the festival of lights became a holiday, and how it has evolved in modern times. Why is Hanukkah Eight Nights? The reasons this holiday lasts so long.